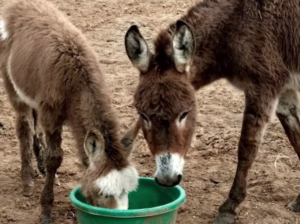 Donkey Separated From Her Baby Was Depressed, But Rescuer Plans Emotional Reunion. Moms and dads, imagine being separated from your children and having no idea where they are or if they’re even okay. Sounds pretty awful, right? It would be enough to drive any parent crazy. 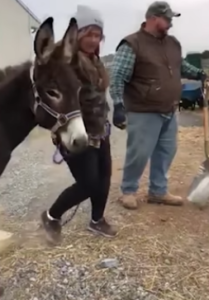 Sadly, that’s exactly the kind of mental anguish one donkey suffered through when she was taken away from her baby. 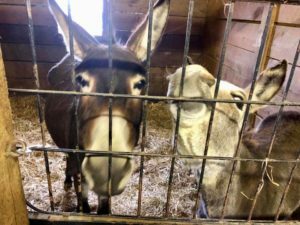 The mother donkey, Mary Poppins, and her son, Colonel Sanders, were both rescued from an auction… by two different groups. Colonel went to Speranza Animal Rescue in Mechanicsburg, Pennsylvania, while Mary was bound for a different home. Meanwhile, Mary was doing even worse. Without her baby, she became deeply depressed, isolating herself and refusing to eat for a week. 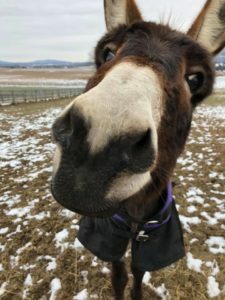 That’s when Janine got one of the best calls she’s ever received: Mary had never been picked up by the other rescue center! Wasting no time at all, she arranged for transport, eagerly awaiting Mary’s arrival. 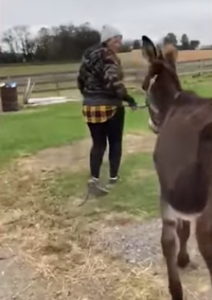 In tear-jerking footage, Janine can be seen leading a dejected Mary around the farm. 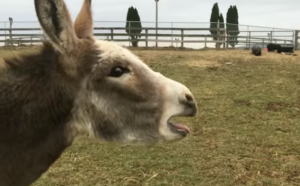 But when the mama donkey sees her baby for the first time in days, she practically screams in relief. 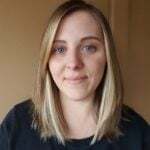 “Seven days may not seem a long time for mother and son to be separated but when I saw their reunion I definitely changed my thought on that,” said Janine. 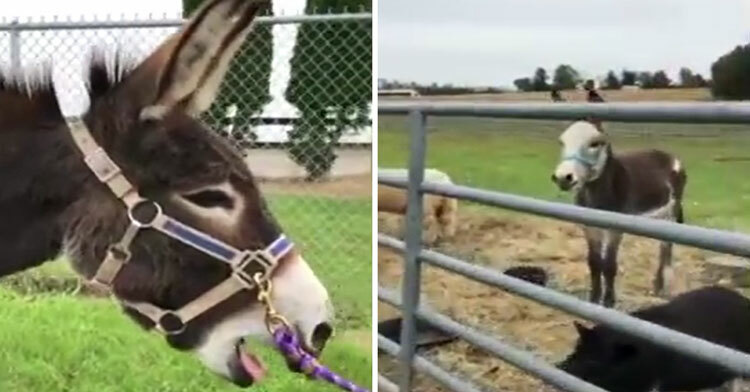 Mary’s demeanor changed almost instantly — just look at how perky she is now! We can only imagine how good it felt for Mary and Colonel to finally see each other again. Janine says they’ve been inseparable ever since, living their best lives together at last. Watch their heartwarming reunion in the video below, and don’t forget to share.